On the occasion of the International Conference “Cities for Rights” held in Barcelona on December 10 and 11, our member-local governments of Barcelona, Madrid and Plaine Commune wished to invite several European cities and regions to share their experiences and challenges in regards to human rights action. This discussion was meant to be held in parallel to the conclusion of the follow-up process on the implementation of the European Charter for the Safeguarding of Human Rights in the City (2001), which our Committee carried out throughout 2018 thanks to the participation of 33 European cities and towns. 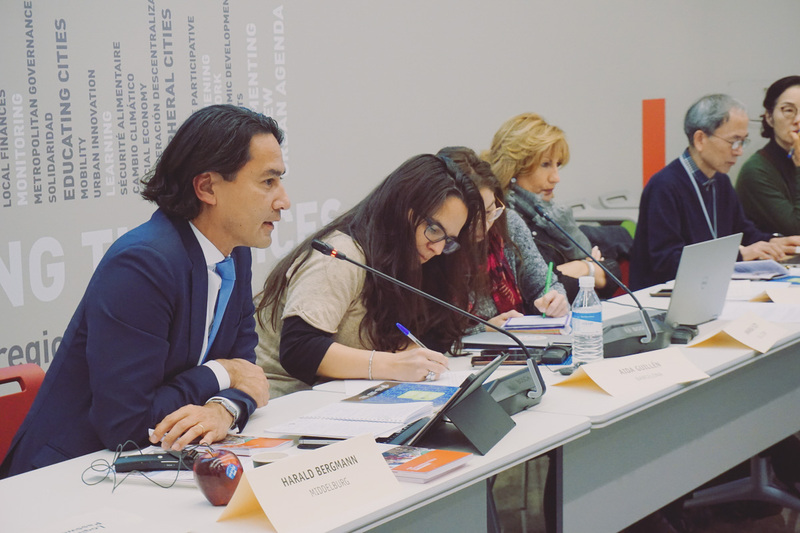 The workshop of “European local governments for human rights” was finally held on December 11 at UCLG headquarters, and focused on assessing the challenges and networking opportunities for human rights cities and territories in Europe and beyond. About 40 people attended the workshop, including representatives from the following 15 cities and territories: Barcelona, Terrassa, Sabadell, Cardedeu and Cerdanyola del Vallès (Catalonia, Spain), Bilbao and Gipuzkoa (Euskadi, Spain), Athens (Greece), Middelburg (Netherlands), Nuremberg and Cologne (Germany), Naples and Bologna / ECCAR (Italy), the Swedish Association of Local and Regional Authorities (SALAR) and the Catalonian Fund for Development Cooperation. As co-chair of the Committe, a delegation of representatives from Gwangju (South Korea) also participated in the meeting. 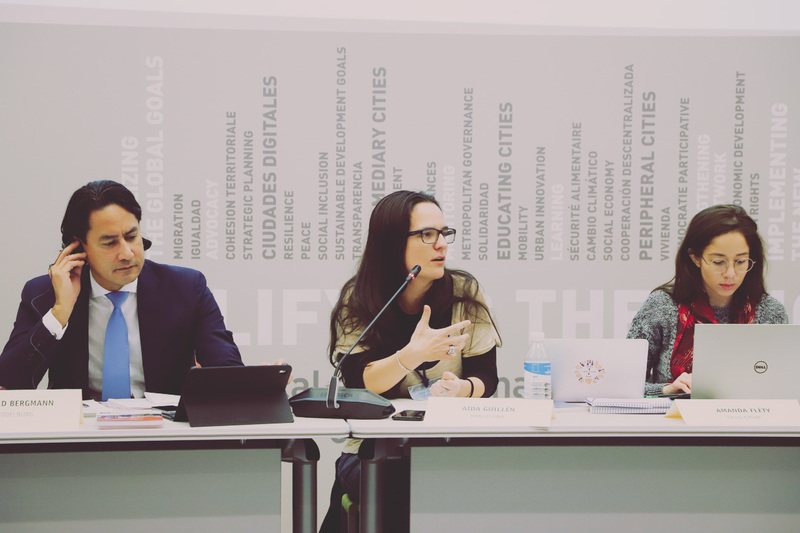 As organizer of the largest, world human rights cities forum, Gwangju was able to both share its experience and better understand European cities challenges. Another part of the contributions to the workshop were given on the basis of inputs provided by 33 European municipalities through an open, follow-up questionnaire of the implementation of the European Charter for the Safeguarding of Human Rights in the City. Through these questionnaires, cities could provide information on their human rights action and priorities for networking. 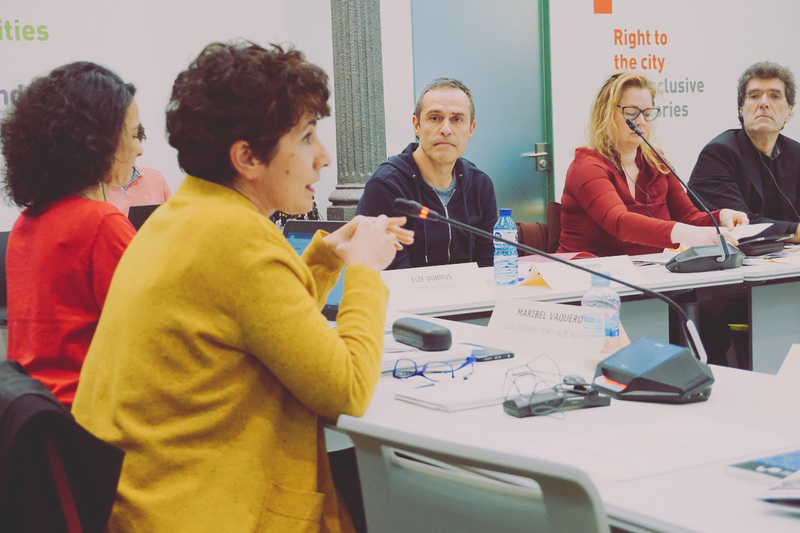 Barcelona’s Directress of the Citizenship Rights and Diversity Department (Aida Guillén) stressed the need for cities “to go beyond raising awareness”. Guillén believes cities should go beyond in human rights action fields such as realizing “full citizenship” (human rights universality), fighting against hate speech and discrimination or mainstreaming the human rights-based approach in all municipal action. Several cities confirmed their intention to going beyond a “sectoral approach” and to develop a comprehensive approach to human rights policies. Naples’ representative, Alessia Piccirillo, showed her city's commitment to protect the most vulnerable, as well as towards the global defense of democracy and human rights: key values to reinforce social cohesion. 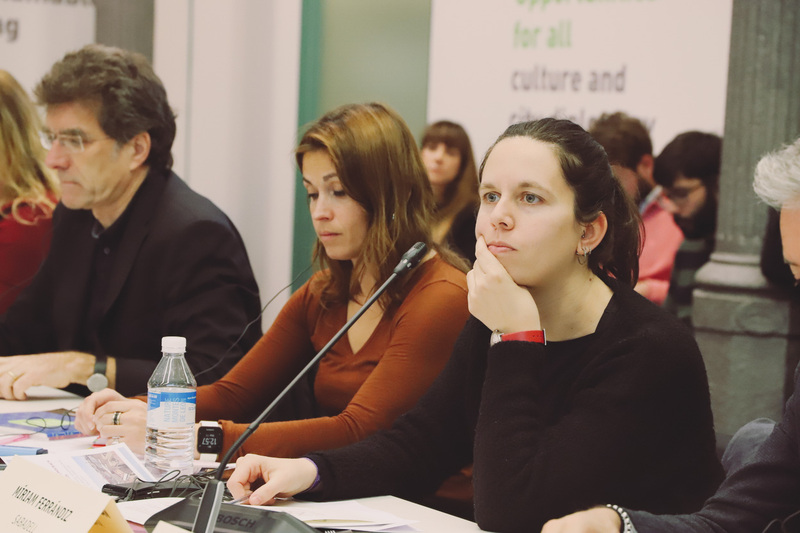 Miriam Ferràndiz, Councilor for civil rights in Sabadell, stressed the need to “mainstream human rights in public action in order to fight fascism and racism”; while Terrassa’s Directress of citizenship services, Mercè Soler, stressed that “the time has come to decide what must be done if we want to go beyond: Terrassa defends the remunicipalization of water, the right to housing and adopts an intersectional approach to social inclusion policies”. Human rights represent, for many cities that participated in the workshop, a way to renew local public policies through dialogue with civil society. The mayor of Middelburg, Harald Bergmann, stressed that citizen participation should be a key issue in this debate: “There is growing dissatisfaction with the state of democracy in the world: citizens want to get involved in public affairs”. This statement was in line with Gipuzkoa’s Directress of Human Rights intervention, who informed the audience of actions led by her territory to promote a renewed political culture based on peace and democracy. The German cities of Nuremberg and Cologne showed a particular interest in policies for non-discrimination and social inclusion. The president of the European Coalition of Cities against Racism (Benedetto Zacchirolli) shared the work carried out by ECCAR members in this sense. 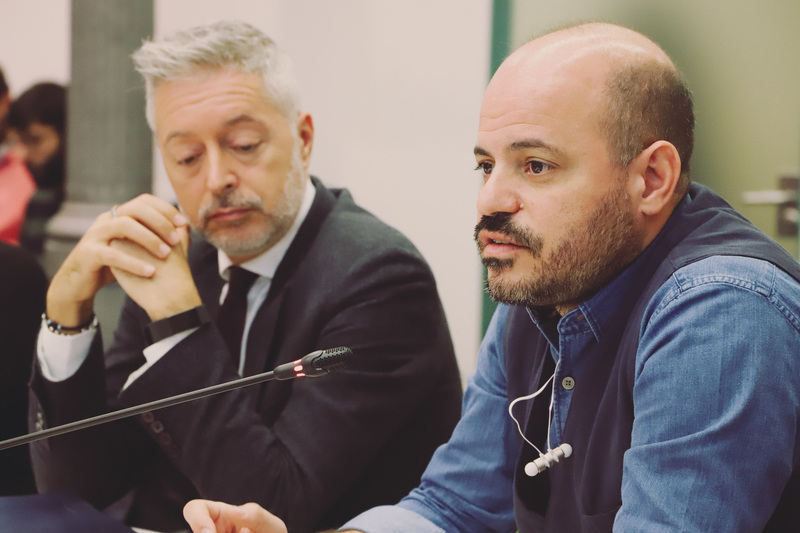 Lefteris Papagiannakis, deputy mayor of Athens for migrants and refugees, addressed the issue from the perspective of human rights universality when it comes to migrants and refugees’ social inclusion, while Bilbao’s representative, Inmaculada Erena, focused on it in terms of education and values of solidarity. Both the representative of the Catalan Fund for Development Cooperation (Toni Royo) and the representative of the Association of municipalities and regions of Sweden - SALAR (Cecilia Berlin) reiterated the importance of multilevel governance in human rights governance. Closely interrelated to this last subject, many participants to the meeting also recalled the need to take special attention to the needs and engage with smaller municipalities. By the end of the meeting, the coordinator of UCLG CSIPDHR Committee (Amanda Fléty) briefed participants on international processes in which members could provide follow-up to the conclusions of this workshop: OHCHR’s call for contributions on local governments and human rights; the organization of the World Human Rights Cities Forum - WHRCF 2019; the relaunching of regional and global debates on human rights cities networking; and the celebration of the UCLG World Congress in November 2019. The Secretary General of UCLG, Emilia Sáiz, also informed participants about the growing importance of human rights for the world organization of local and regional governments, in clear articulation with the work led in regards to the Right to the City and its eponymous UCLG Policy Council. Sáiz also invited participants to take part more frequently in political discussions and activities of UCLG during 2019.